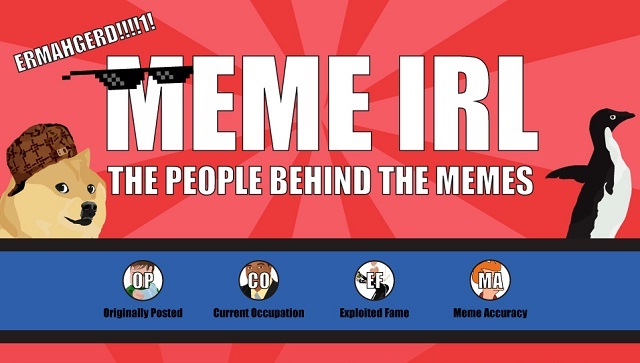 The People Behind the Memes #infographic ~ Visualistan '+g+"
Memes are quite simple to understand, but they do have rules. Classic memes follow the same format of set up above the image and punchline below, though other more abstract formats also exist. If you’re looking for examples Reddit is the place to go, with /r/AdviceAnimals catering to the former, and /r/Me_IRL catering for the latter.